It has been another great week to be a Wildcat! Since last week was our first week of school in 2019, it was a bit of a blur. I think I mentioned or alluded to the fact that we have several new Wildcat families! I have to add this week that it has been refreshing to watch our kids welcome new kids. I can't promise that every single kid is perfect and kind every moment of the day. But… I can tell you that we have some pretty spectacular human beings in our midst every day. I have watched many take really good care of our new Wildcats and help them feel included and welcome - without the prompting of adults. On a slightly different note, this week's instructional shout out goes to 6th grade science. I wish everyone could watch the process of building roller coasters! Congratulations to our Wildcats that are a part of the FLL (First Lego League) Robotics team "Dream Machines"! They competed recently at a tournament in Waco and qualified for the Central Texas Region Championship! Check out an article about it HERE. Next Wednesday, January 23rd at 8:45am in the Cafeteria, Steve Ramsey (WHS Principal) and Heidi Sauer (WHS Counselor) will be here to give parents a run-down of what to expect at the high school. I am pretty confident that they will be able to answer many questions that will help put your minds at ease - especially if your about to have your first high school student. I feel like we have been back from our Winter Break for WAY more than 2 weeks. The Spring Semester is always crazy - for so many reasons. Spring is in the air (and it already is), we are planning for next year, and we are in the middle of a busy time for athletics, fine arts, and really all clubs, organizations, and activities. Before long, you will be receiving information about your Wildcats making choices for next year. Brace yourself! I hope you all have a wonderful LONG weekend - stay warm and get some rest. If you come on Monday, you will be lonely. We will see you again on Tuesday! There will be a mandatory informational Cheer Parent meeting for all new or returning cheerleaders for next school year on February 28th at 6 PM in the WRMS Library. 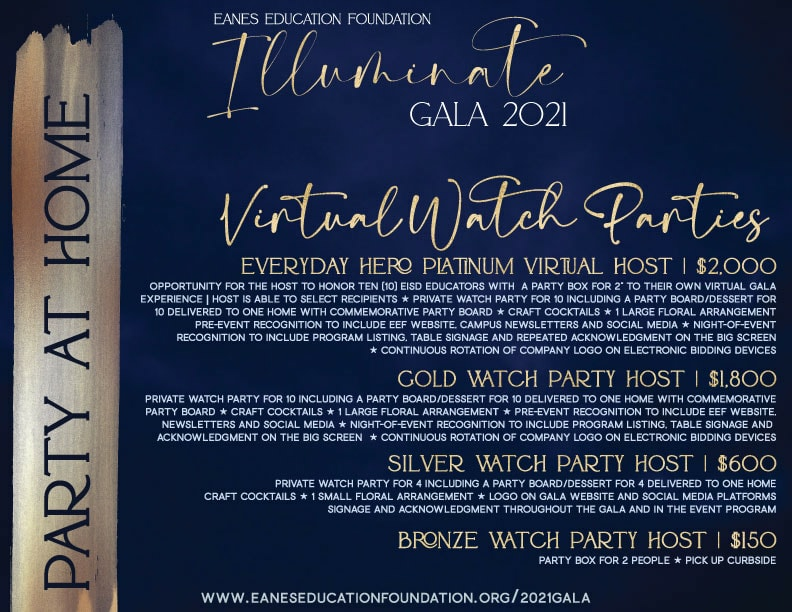 Please contact Gina Morreale (Gmorreale@eanesisd.net) if you have any questions! Our School Store has been a HUGE success! However, we are in need of parent volunteers. Each shift is only one hour so, please consider signing up. Let's not let down our Wildcats! Log in to your Wildcat Booster Club account to sign up today. West Ridge Counselors will be reminding families and students to connect and talk together checking in with one another on Jan. 22nd as part of a city wide mental health campaign. This is a great opportunity for families and students to take a minute to check-in and to listen attentively to each other. Start the conversation! Join us for a presentation from WHS Principal Steve Ramsey and Lead Counselor Heidi Sauer for a discussion on the Academic Reality at Westlake. Our Teacher Appreciation Committee will be hosting a Chili Cook-Off for this month's staff lunch. We need a lot of volunteers to showcase their best chili recipes as well as help with deserts, drinks, etc. Please click THIS LINK to sign up! As always, we couldn't do it without the volunteers. Thank you! Here Ye, Here Ye. Medieval Fest will be upon us before you know it. Please make sure that your 6th Grader is ready by confirming that you have paid your $10 Medieval Fest Fee. This event is part of the Medieval History study unit and participation in mandatory. Much more info coming soon! Don't want to miss a thing this year at WRMS? Join the Wildcat Club on Facebook! This day is to raise awareness around the importance of mental health. It's a great opportunity for families and students to take a minute to check-in and to listen attentively to each other. Start the conversation!